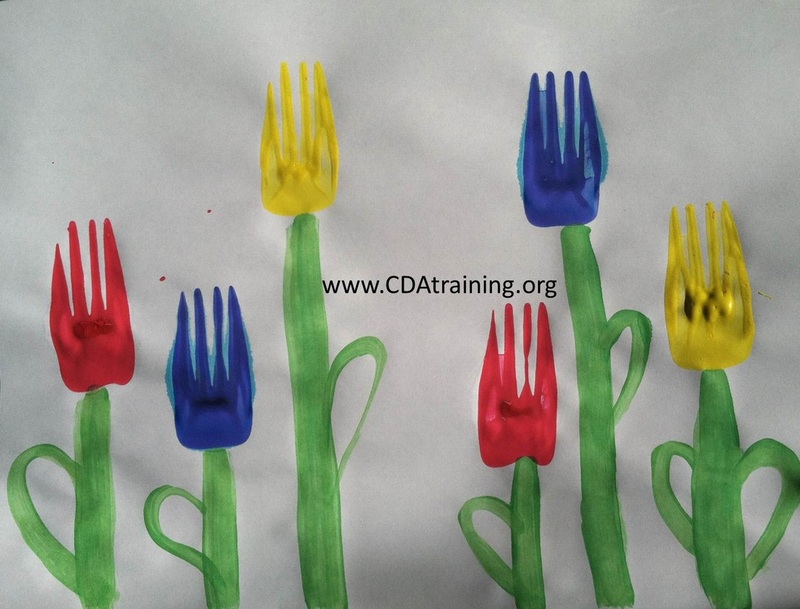 To create these flowers have the kids dip the back of a fork into paint. 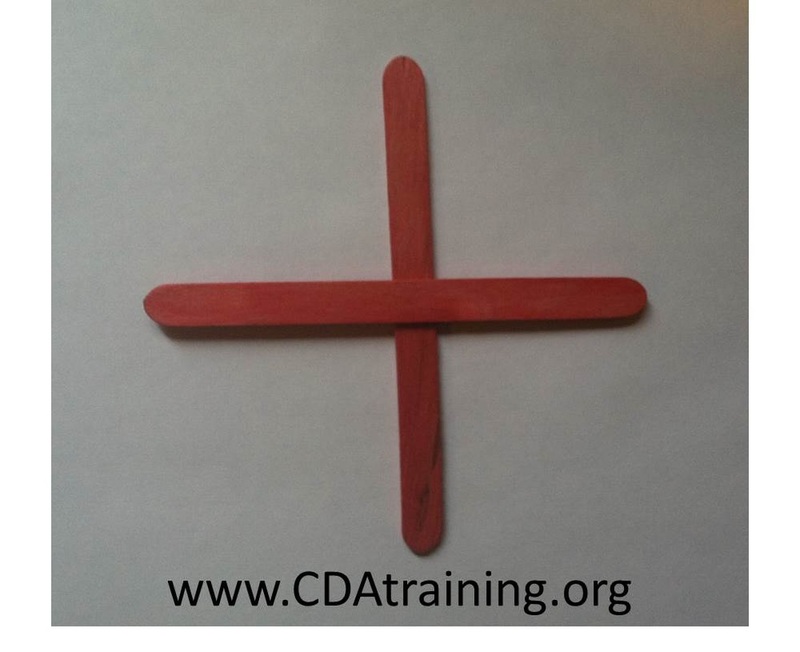 Then tell them to press down on the paper and pull back making a "tulip" shape. Have them repeat as many times as they wish. 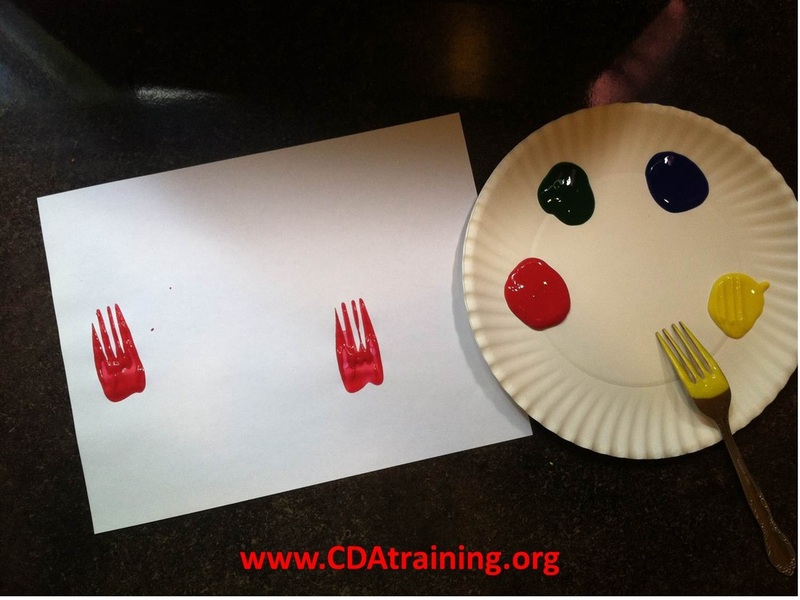 Allow the fork prints to dry. Once dry, have the children pain on stems and leaves. 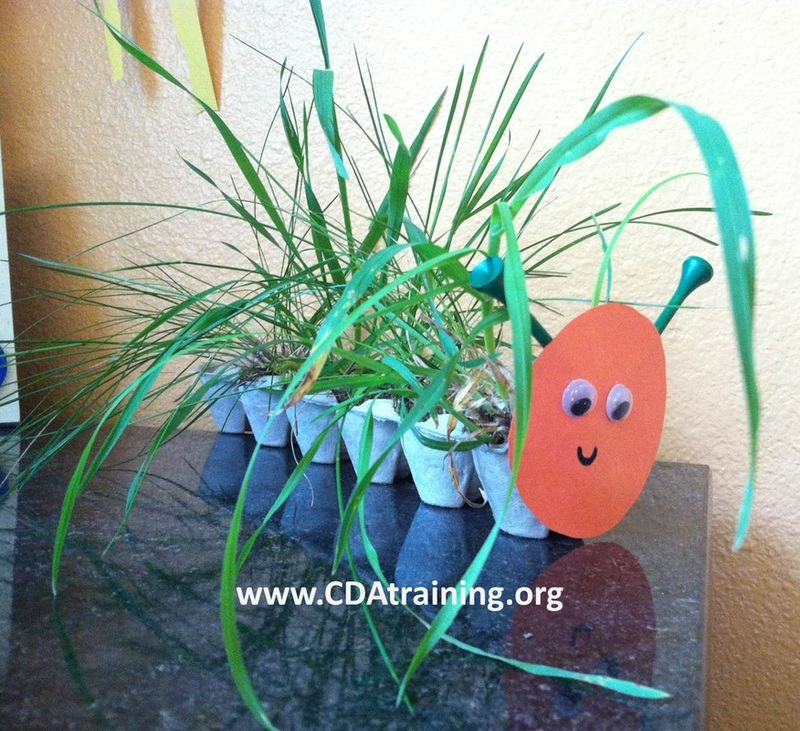 We made a caterpillar face using construction paper, wiggly eyes, and a couple of green golf tees. We then glued it to 1/2 of an egg carton. We then planted grass by using a couple of spoon fulls of soil, and some grass seed. 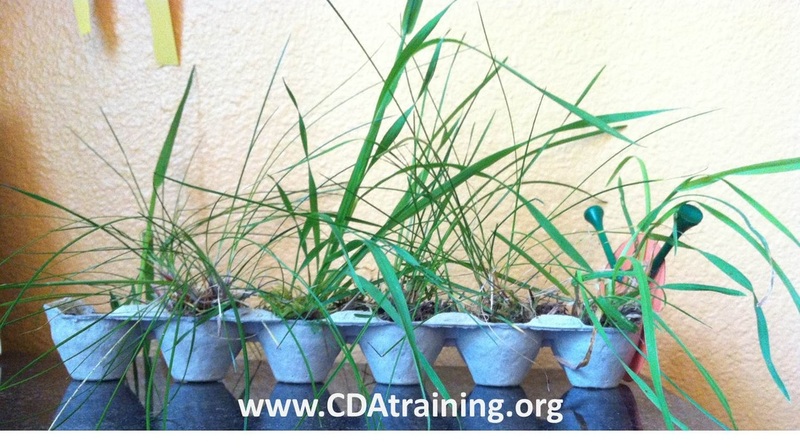 When watered daily, the grass will grow quickly. 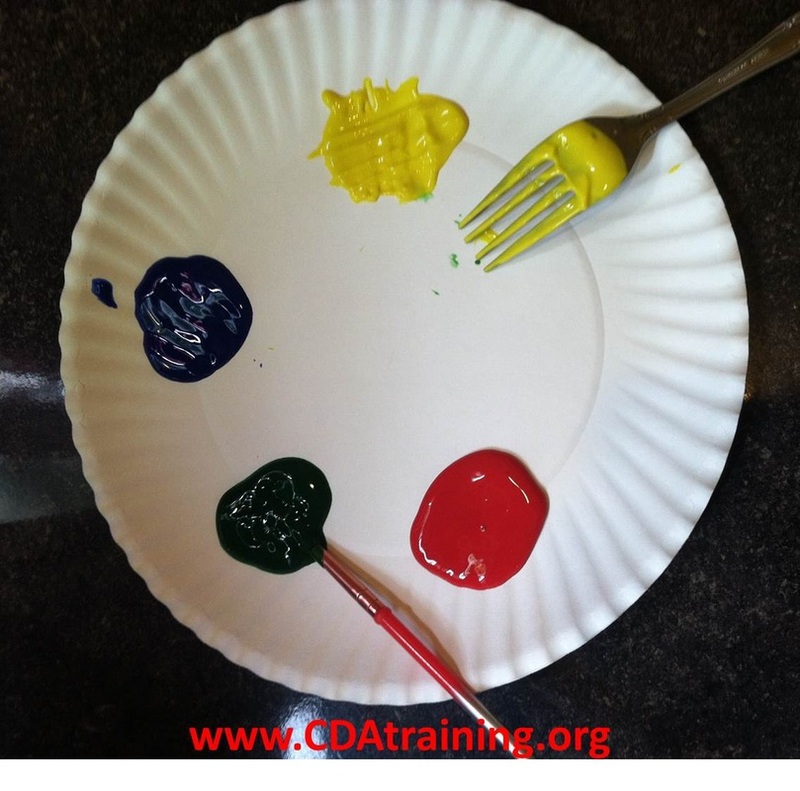 Have the kids dip the back of a fork into some yellow paint. 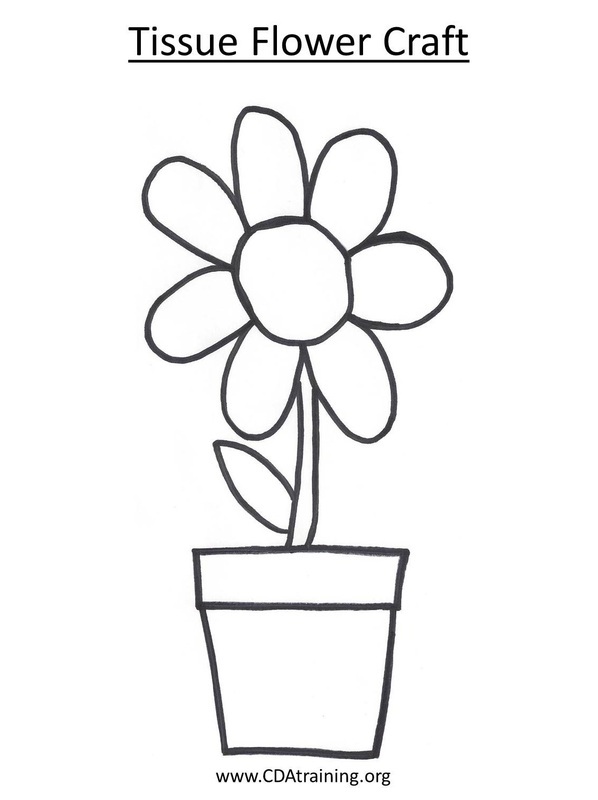 Draw a stem with a green marker. 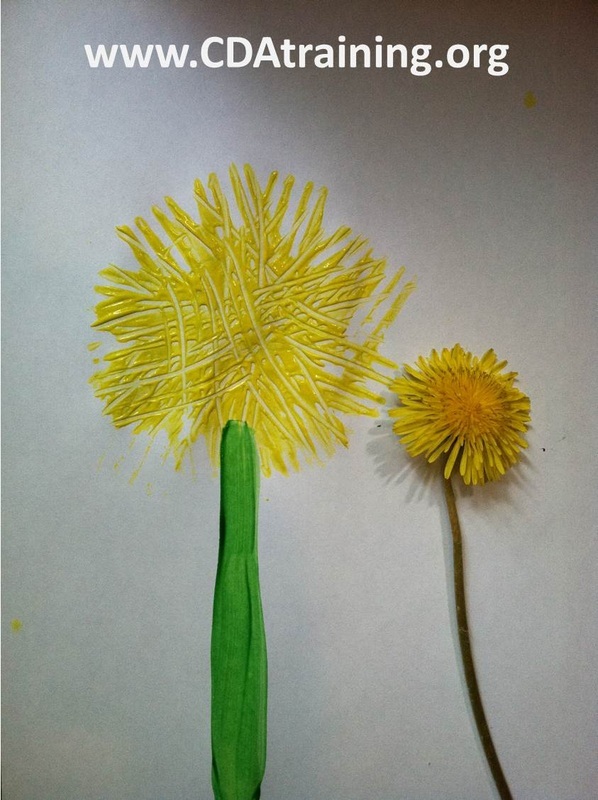 You can leave the dandelion totally yellow or add a bit of orange paint for some depth. 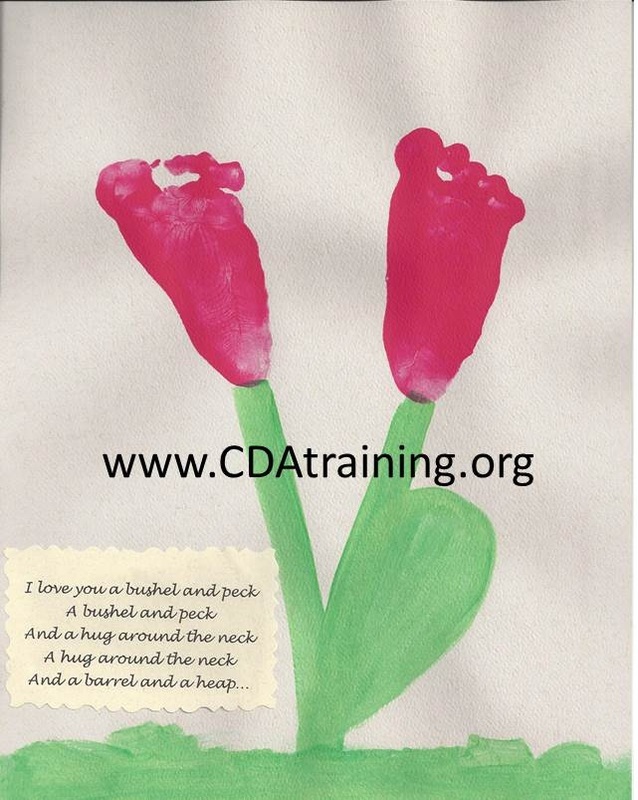 This is a great activity for older children. 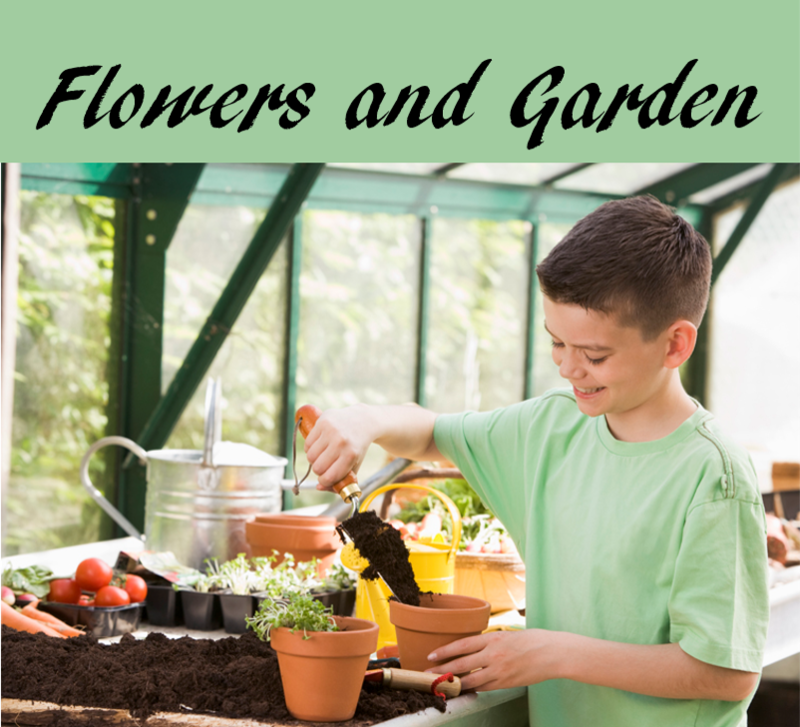 Present the children with several different types of flowers that include their stems and leaves.. Have the students choose a flower and place it on a piece of paper. 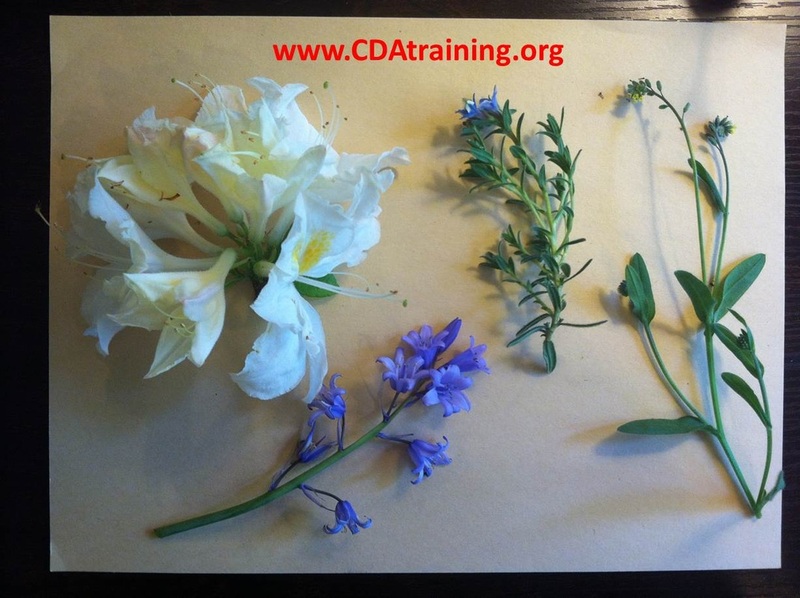 Assist the children in identifying the different parts of their flower and (if age appropriate) labeling them. 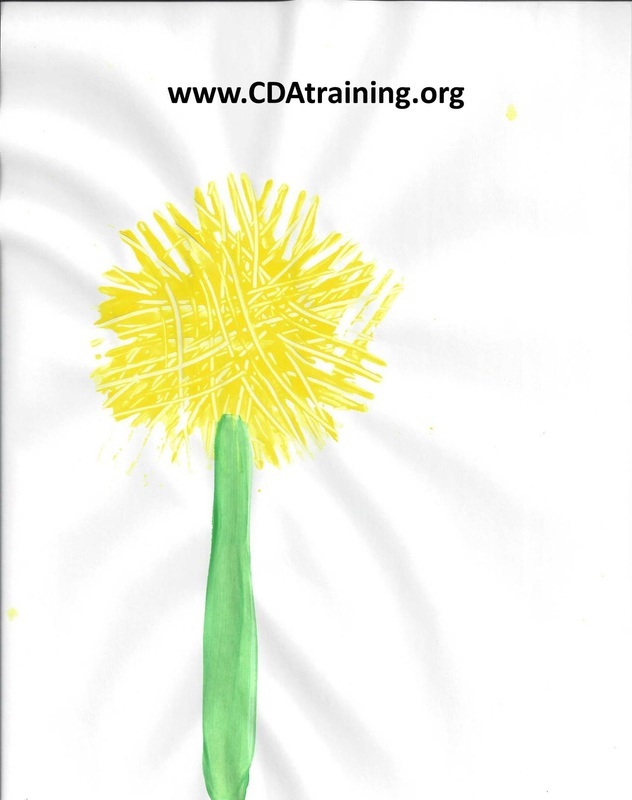 This is a great activity for older children. 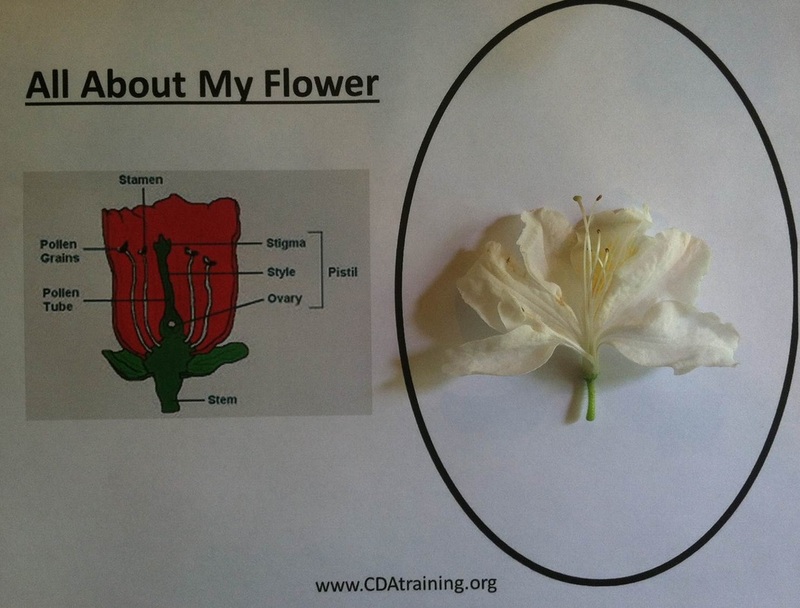 Present the children with several different types of flowers and an anatomy template (seen below). 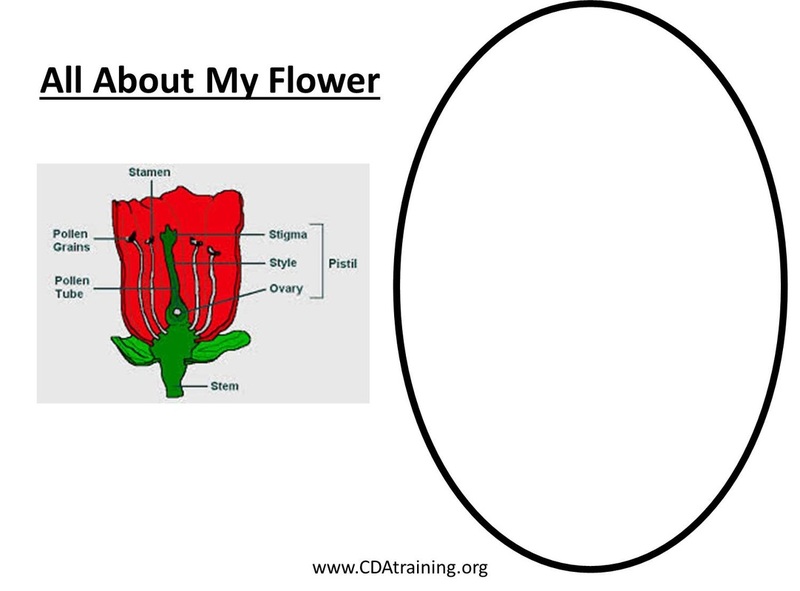 Have the student choose a flower and place it in the center of their template oval. 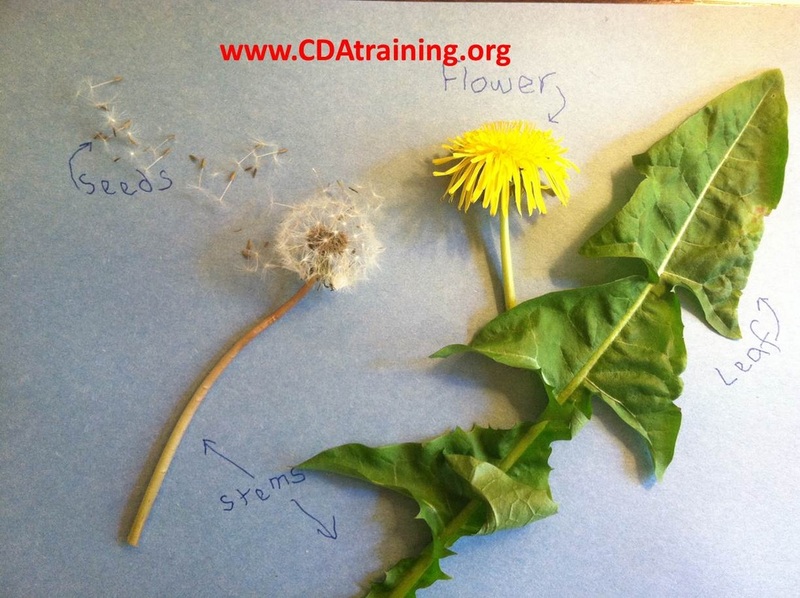 Assist the children in identifying the different parts of their flower. Supplies Needed; orange and green construction paper, brown paint, scissors and glue. 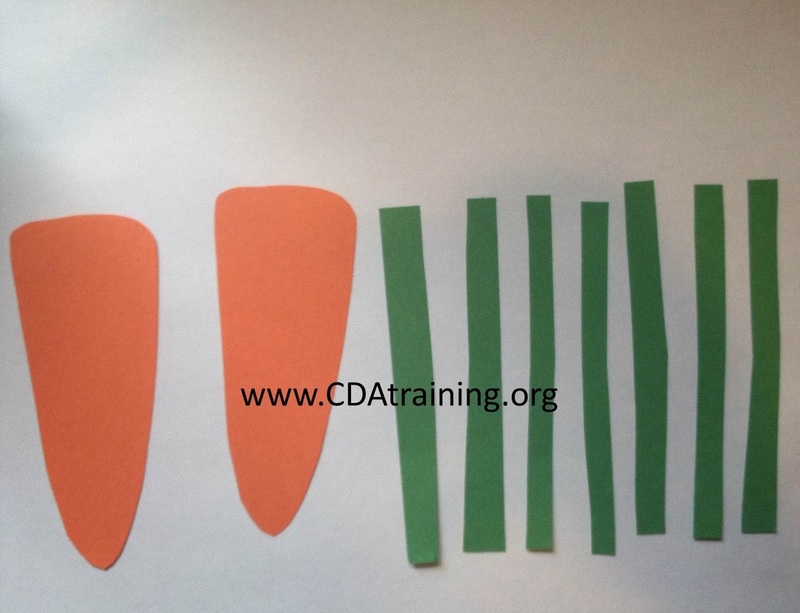 Cute out a carrot shape, and green strips for the stem. 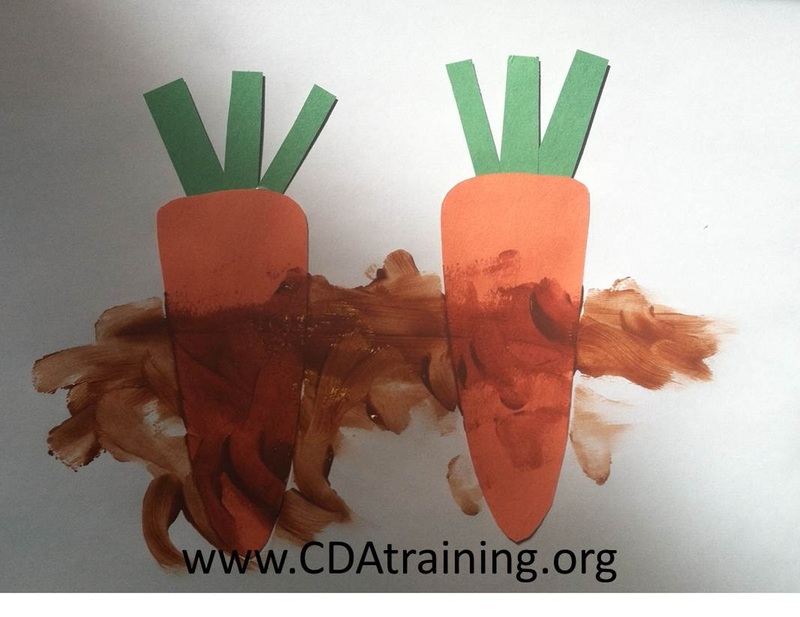 Glue the carrot(s) to a piece of white paper. 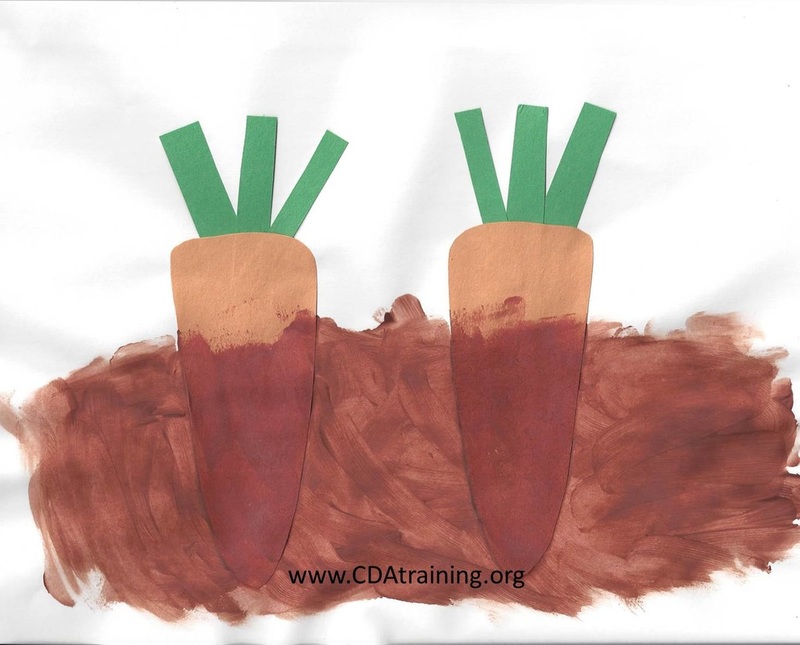 Once dry, use brown paint and paint the carrot to create the illusion of dirt. Painted red, baby feet look a lot like flowers. We added some cute lyrics from an old song. You can hear the song below. 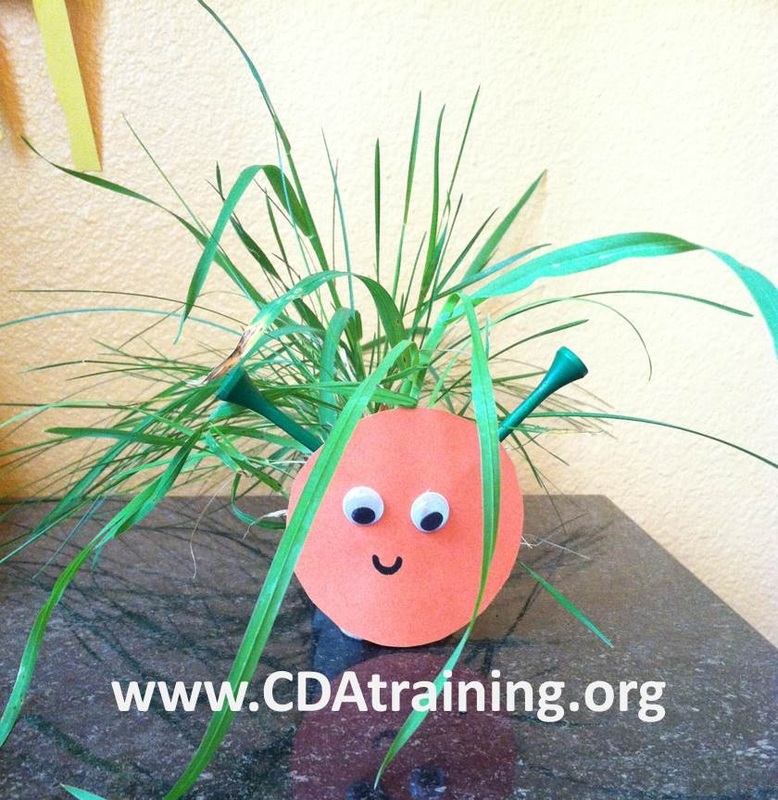 This is a fun and easy flower craft. 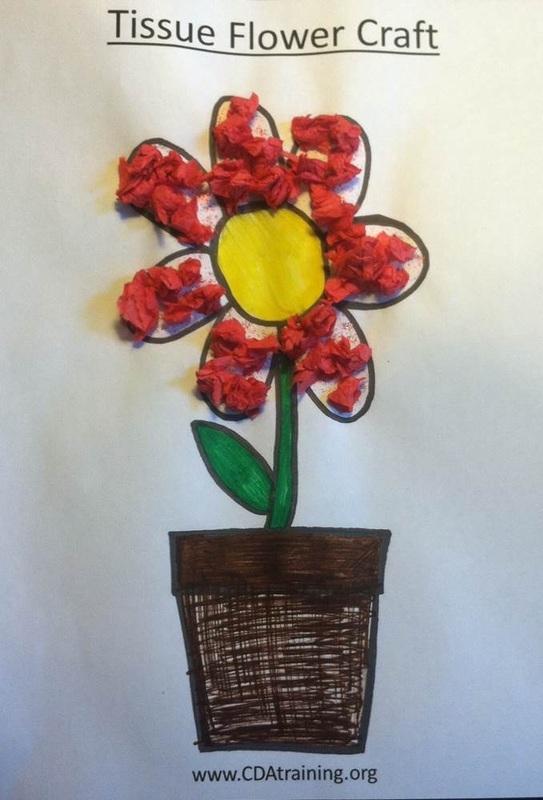 We colored the template (below), and used glitter glue to attach small bits of red tissue paper to the flower petals. 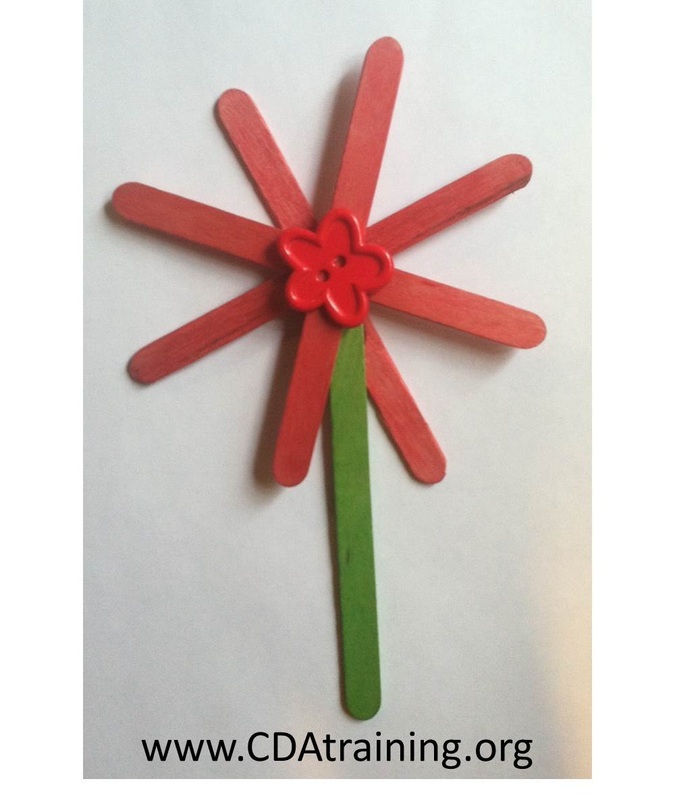 Directions: Use 4 craft sticks to make the flower and 1 green one for the stem. 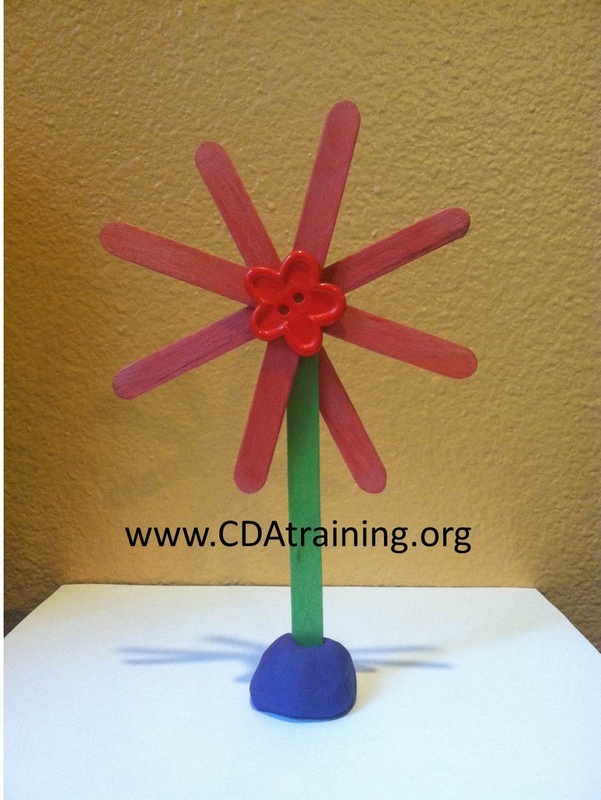 Stagger them to make an 8 petaled flower. 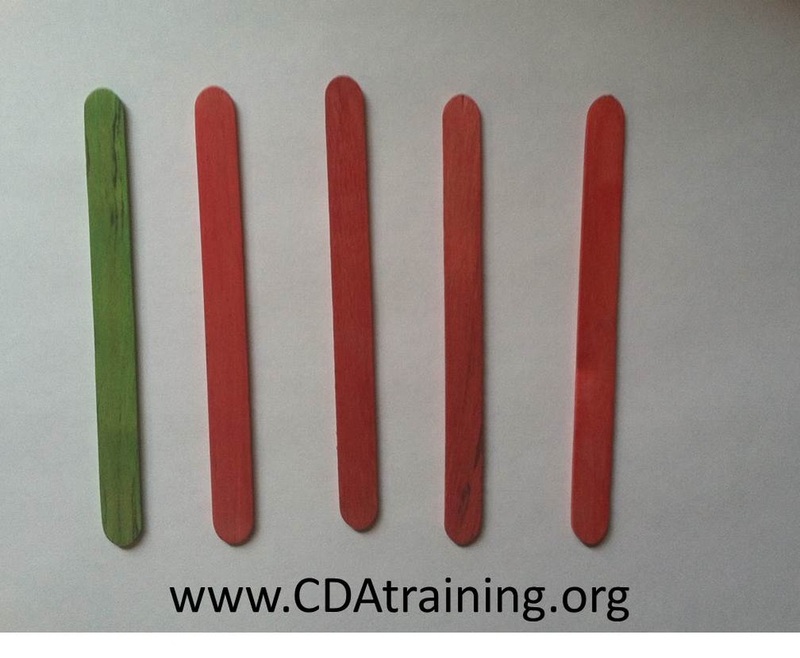 Start with the green stem and add each craft stick layer with a generous amount of glue. Glue a button on the top. Allow to dry.